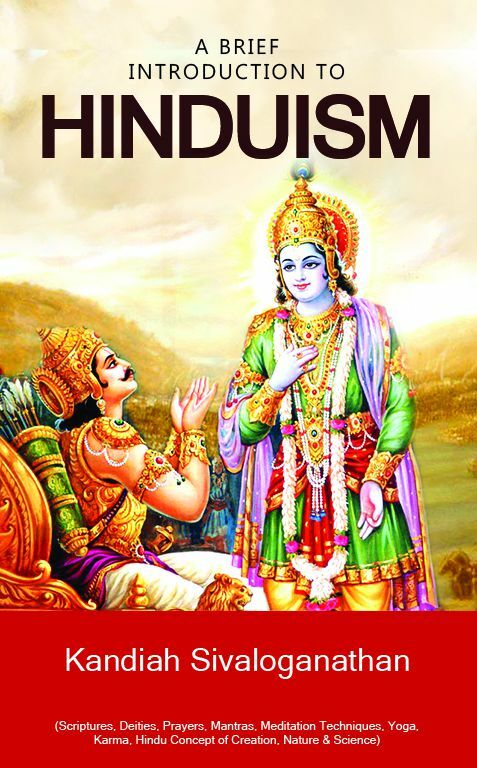 A easy to understand book explaining the basics of Hinduism or the Hindu religion. Kandiah Sivaloganathan’s A Brief Introduction to Hinduism, is a handy tool for all those who yearn to understand the philosophy behind one of the world’s oldest religions — Hinduism. Also known as Sanatana Dharma (or the eternal law), Hinduism took birth in the Indian subcontinent thousands of years ago and is still followed by more than a billion followers worldwide. However, in today’s busy world, it’s nearly impossible to gain an in-depth understanding of one’s faith and pass it on to the next generation. That’s exactly the issue Sivaloganathan tries to address in his book, with regards to Hinduism. It’s a go-to book for all your queries regarding the Hindu faith. The author tries to bring together the various aspects of Hinduism — from its myriad deities, saints, sages, rituals, prayers, scriptures, to modern science and its association with the principles of this ancient religion. What is the power of prayer and mantras? What does Hindus mean by karma, creation and reincarnation? How is Hinduism connected to nature and science? In today’s world, when everyone is too busy to read and understand their religion, this book provides a basis, a simple reference, to understand Hinduism. It is written in simple, readable language. Kandiah Sivaloganathan comes from a traditional Hindu family from the village of Suthumali, Jaffna, Sri Lanka. He had his early education in Sri Lanka at Manipay Hindu College, Jaffna and at St Benedict’s College, Colombo. He studied at the University of Ceylon (Sri Lanka) and graduated in Engineering with honours. He obtained his Masters Degree in Engineering from the University of New South Wales, Sydney, Australia. He is a Member of the Institution of Engineers, London, UK, Hong Kong and Australia. Mr Sivaloganathan has travelled extensively, and worked as an engineer and consultant in Sri Lanka, United Kingdom, Hong Kong and Australia. He showed a keen interest in spirituality from his early years and has devoted his life to spiritual pursuits. He is a devotee of Bhagawan Sri Sathya Sai Baba, and has been involved with the Sathya Sai Movement for more than 35 years. He was also an active member of the Sathya Sai Centre of Hong Kong. He and his family were fortunate to have interviews with Bhagawan Sri Sathya Sai Baba in 1988.